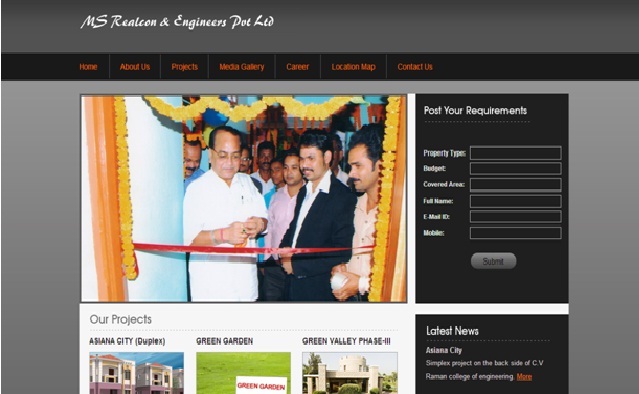 MS Realcon and Engineers Pvt Ltd is a renowned property holder in the temple city Bhubaneswar, Odisha. This company is previously known as ‘Matrusakti Realcon’. This company provides all the property solutions in the best places of the State with affordable prices. The main features of this company are Quality Communications, Customer’s satisfaction, Lands with litigation free, Proper Legal Documentations, Quality Services and Timely Managements. This company mainly focuses on Lands and Apartments business. This company has many experienced staffs to follow the strict rules and regulations of the company to give 24x7 supports to their trustworthy customers.